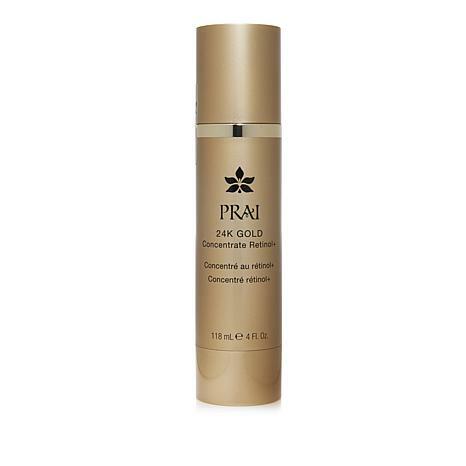 Concentrate containing 24K gold and retinol for help addressing the appearance of skin tone and texture and diminishing the look of fine lines and wrinkles. Apply nightly over clean skin. Ingredients: Water (Aqua), Glycerin, Butylene Glycol, Isodecyl Isononanoate, Dimethicone, Tetrahydroxypropyl Ethylenediamine, Caprylic/Capric Triglyceride, Chondrus Crispus Extract (Carrageenan), Acrylates/C10-30 Alkyl Acrylate Crosspolymer, PEG-10 Dimethicone, Hydroxyethylcellulose, Sodium Hyaluronate, Caprylyl Glycol, Mica, Gold, C4-24 Alkyl Dimethicone/Divinyldimethicone Crosspolymer, Retinol, Centella Asiatica Extract, Polydiethyleneglycol Adipate/IPDI Copolymer, Cyclodextrin, Zingiber Cassumunar Root Oil, Disodium EDTA, Tropolone, 1, 2-Hexanediol, Methylisothiazolinone, Fragrance (Parfum), Amyl Cinnamal, Benzyl Salicylate, Citronellol, Hexyl Cinnamal, Butylphenyl Methylpropional, Limonene, alpha-Isomethyl Ionone, Iron Oxides (CI 77491, CI 77492, CI 77499), Titanium Dioxide (CI 77891). I have been using this cream for several months and definitely have seen a difference. Love it! I use this at night because I'm a firm believer in retinol treatments. This provides moisturization so you don't need another product. Love it. 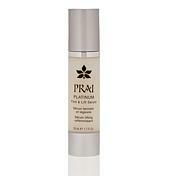 This product is wonderful, it smooths the skin and improves uneven skin tone. I don't ever want to be without it. Goes on great & my face looks smooth.